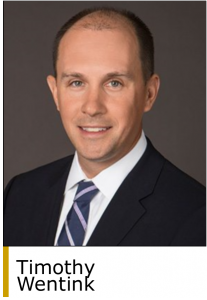 Twin Brook Capital Partners has added Timothy Wentink to its investment team as a managing director focused on the healthcare sector. 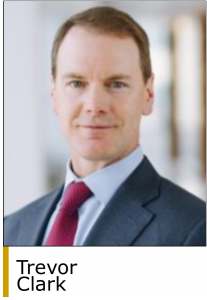 Mr. Wentink joins the Twin Brook team from Madison Capital, where he was a managing director on its healthcare leveraged finance team. Chicago-based Twin Brook is the middle market direct lending arm of Angelo Gordon. The firm targets senior financing opportunities up to $400 million with hold sizes across the Twin Brook platform ranging from $25 million up to $150 million. The firm provides financing to support sponsor-led buyouts and recapitalizations of companies with $3 million to $50 million in EBITDA, with an emphasis on companies with $25 million of EBITDA and below. Since its founding in the fourth quarter of 2014, Twin Brook has closed 327 transactions and provided total arranged commitments of approximately $9.6 billion, including 85 transactions and $2.3 billion in arranged commitments in the healthcare sector. “Twin Brook has a differentiated platform backed by talented professionals, and it is an honor to join such an exceptional firm,” said Mr. Wentink. “Over the past four years, Twin Brook has built an impressive business, and I look forward to working with Trevor, Faraaz Kamran, and the entire Twin Brook team to continue expanding the firm’s pipeline of opportunities and product offerings in the healthcare space.” Faraaz Kamran is a senior partner with Twin Brook and he focuses on the firm’s healthcare portfolio. Mr. Wentink comes to Twin Brook with 13 years of healthcare-focused, middle market lending experience. For over a decade, he was responsible for originating, structuring, underwriting, and negotiating debt facilities for private equity-sponsored healthcare transactions at Madison Capital Funding. Previously, Mr. Wentink served on Merrill Lynch Capital’s healthcare leveraged loans team, where he focused on private equity-sponsored transactions. Mr. Wentink began his career at JPMorgan Chase and he has a BS in Finance from the University of Illinois. Angelo Gordon, Twin Brook’s parent company, is an alternative investor with a focus on credit, real estate, private equity, and other strategies. The firm, founded in November 1988, currently manages approximately $32 billion in capital and has over 480 employees, including 190 investment professionals. Angelo Gordon is headquartered in New York with additional offices across the US, Europe and Asia (www.angelogordon.com).